“Carbon monoxide (CO) is the most common cause of poisoning-related death,” write Rabinowitz and Conti. : “Because the gas has no warning odor or color and the symptoms are often subtle and nonspecific…. 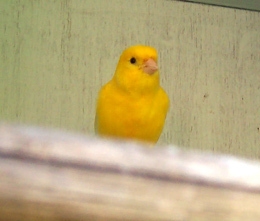 CO is an example of a toxicant for which companion animals could provide early of human exposure risk.” Seen here is a domestic canary, of the type historically used to detect gas in coal mines. 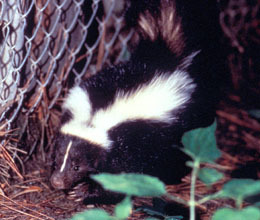 Animals as “sentinels” of environmental health hazards are presented in The Yale Human Animal Medicine Project Canary Database available at http://www.canarydatabase.org. Photograph courtesy of Wikipedia. From our early childhood, most of us have heard of lovely little canaries being taken down into mines to act as sentinels, “watchmen” warning of danger. “Canaries were found to be more sensitive than human beings to the toxic effects of carbon monoxide and methane gas in coal mines, allowing them to provide early warning to miners if they began to act sick,” the authors write in Human-Animal Medicine. 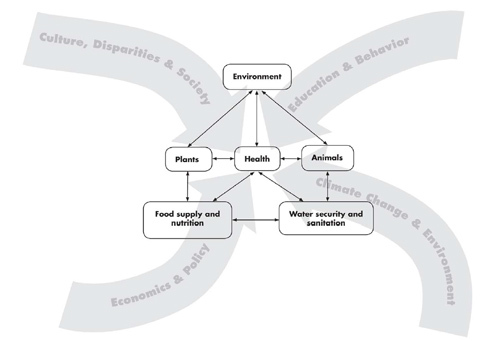 The local and global influences impacting human health, including the interdependence of people, animals, plants , and: the environment, and the associated food and water availability, safety, and security. Graphic artist credit: A. Kent. doi:10.1371/journal.pmed.1000190.g001 PLoS Med 6(12): e1000190. In the United States cattle are checked yearly for brucellosis, an infectious disease in humans and other animals that is caused by bacteria. Human-Animal Medicine BookThe book seeks to “bridge the gaps between human and animal health” with its chapters constructed to show similarities and differences between human and animal diseases. With extensive charts, tables, and figures it conveys “Key Points for Clinicians and Public Health Professionals,” for diagnosis and preventive measures, about toxicity and treatment measures, and other considerations. For human health and veterinary clinicians, they counsel consideration of toxic exposures in the differential diagnosis of both acute and chronic medical problems and animal illnesses. Among the toxic substances addressed are foods toxic to companion animals, common medications and their toxicity in humans and animals, poisonous plant exposure, and cleaning products. 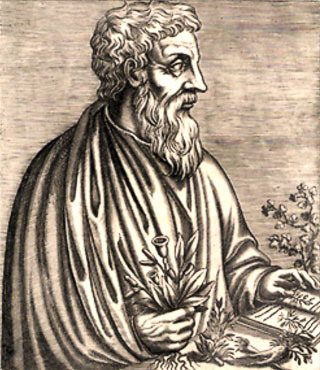 Pedanius Dioscorides (c40-c90AD) noted lead's effect on the mind in the first century A.D.: Photograph courtesy of Wikipedia. Vivid pictures compare a heifer and an iguana exposed to lead. An accompanying table outlines differences and similarities in species and covers risk factors, toxic levels, clinical manifestations, and laboratory findings. For example, while children’s clinical manifestations are listed as learning problems, confusion, seizures and renal dysfunction, cattle and horses’ manifestations include anorexia, colic, constipation, ataxia, muscle tremors, and convulsions, reptiles’ manifestations are listed as abnormal behavior, weakness, and gait difficulties. "A zoonosis (pron. : /ˌzoʊ.əˈnoʊsɨs/) (also spelled zoönosis) is an infectious disease that is transmitted between species (sometimes by a vector) from animals other than humans to humans or from humans to other animals (the latter is sometimes called reverse zoonosis or anthroponosis). In direct zoonosis the agent needs only one host for completion of its life cycle, without a significant change during transmission. This definition is from Wikipedia from "Zoonosis". Medical Dictionary. Retrieved 2013-01-30. “For many zoonotic diseases,” they emphasize, measures involving controlling animal reservoirs, such as by culling, and using personal protection or pesticides for vector control are limited approaches because “the ultimate causes of infection in the animals may not be addressed sufficiently. "For example, Nipah virus emerged as a deadly pathogen in Malaysia when pig farms were built close to forest areas frequented by fruit bats. 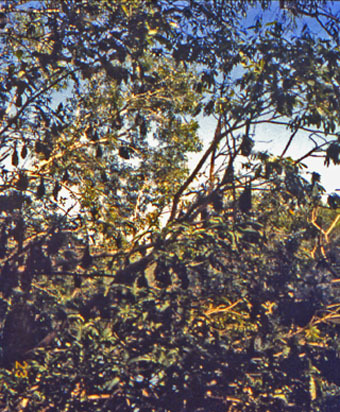 Bats and Nipah virus:Though their specie is unknown, this image depicts numerous flying foxes of the genus Pteropus,: which were hanging up-side-down from the trees in their resting position. The natural reservoir for Hendra virus is thought to be flying foxes (bats of the genus Pteropus) found in Australia. The natural reservoir for Nipah virus is still under investigation, but preliminary data suggest that bats of the genus Pteropus are also the reservoirs for Nipah virus in Malaysia. Caption and Image from Centers for Disease Control and Prevention Public Health Image Library, Atlanta, GA). 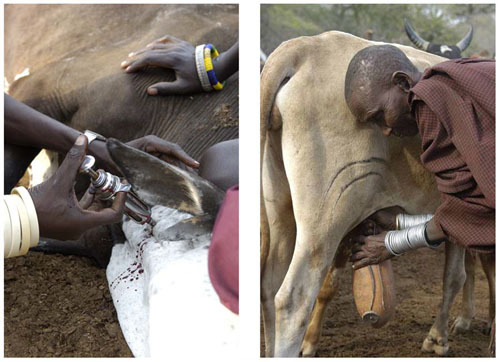 Men’s and women’s disease risks from livestock likely differ: men have occasional, but intense contact: with sick animals (left), while women have regular, close contact with animals, particularly poultry and lactating cows and goats (right). Photograph courtesy of M. Kock-Wildlife Conservation Society. doi:10.1371/journal.pmed.1000190.g003 Courtesy of PLoS Med 6(12): e1000190. “Explosive human population growth and environmental changes have resulted in increased numbers of people living in close contact with wild and domestic animals. Unfortunately, this increased contact together with changes in land use, including livestock grazing and crop production, have altered the inherent ecological balance between pathogens and their human and animal hosts. “Human Disease Leptospirosis Identified in New Species, the Banded Mongoose, in Africa: Scientists find widespread but neglected disease is significant health threat in Botswana,” reported the National Science Foundation (NSF) on May 14, 2013, on the findings Kathleen Alexander, Sarah Jobbins and Claire Sanderson of Virginia Tech published in the journal Zoonoses and Public Health. Leptospires are long, thin motile spirochetes that may be free-living or associated with animal hosts and: survive well in fresh water, soil, and mud in tropical areas. Organisms are antigenically complex, with over 200 known pathogenic serologic variants. Molecular taxonomic studies at CDC and elsewhere have identified 13 named and 4 unnamed species of pathogenic leptospires. Leptospirosis causes a wide range of symptoms, and some infected persons may have no symptoms at all. Symptoms of leptospirosis include high fever, severe headache, chills, muscle aches, and vomiting, and may include jaundice (yellow skin and eyes), red eyes, abdominal pain, diarrhea, or a rash. 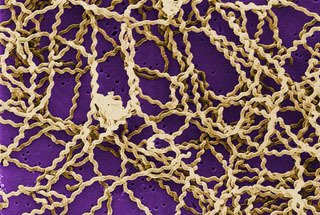 This scanning electron micrograph (SEM) depicts a number of Leptospira sp. bacteria atop a 0.1. µm polycarbonate filter. 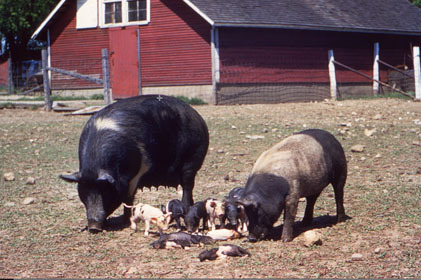 Caption and Image from Centers for Disease Control and Prevention Public Health Image Library, Atlanta, GA).In Human-Animal Medicine, leptospirosis, discussed in the extensive chapter “Zoonoses,” is presented with key points for public health professionals, human health clinicians, and veterinary clinicians for prevention and control. It provides information about the causative agent, a gram-negative spirochete bacteria in the genus Leptospira, about the extensive geographic occurrence, “Leptospirosis is considered an emerging infectious disease and one of the most common global zoonoses: it is found worldwide except in the polar regions…” and about the groups at risk, among pertinent details. 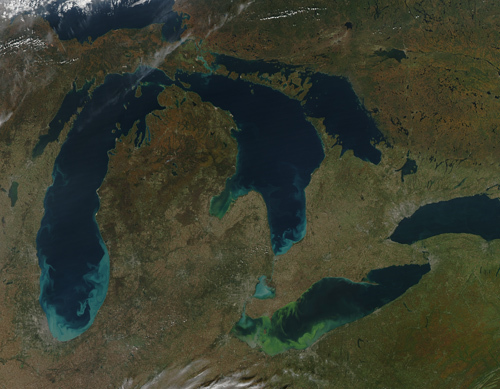 These include hosts, reservoir species, vectors, and environmental risk factors. The significance of water and natural resource limitations are addressed in, ‘‘A ‘One Health’ Approach to Address Emerging Zoonoses… ”: “Nowhere in the world are these health impacts more important than in developing countries, where daily workloads are highly dependent on the availability of natural resources6,7,” the authors write. “Water resources are perhaps most crucial, as humans and animals depend on safe water for health and survival, and sources of clean water are dwindling due to demands from agriculture and global climate change. “As water becomes more scarce, animals and people are squeezed into smaller and smaller workable areas. 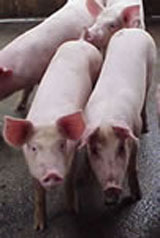 Contact among infected animals and people then increases, facilitating disease transmission. “Water scarcity also means that people and animals use the same water sources for drinking and bathing, which results in serious contamination of drinking water and increased risk of zoonotic diseases. I choose to mention the “Harmful Algal Blooms” chapter both because of the significance of the subject and because Fleming and Backer, also addressed HABs in the chapter they co-authored with others, “Naturally Occurring Water Pollutants,” in Horizon International’s book, Water and Sanitation Related Diseases and the Environment: Challenges, Interventions, and Preventive Measures, for which I was Editor. MRSA: Methicillin-resistant Staphylococcus aureus infections, e.g., bloodstream, pneumonia, bone infections…: Human-Animal Medicine states: "The risk of transmission between humans and other animals may vary by species and type of MRSA. One study found evidence of MRSA transmission between dogs and veterinary workers. Equine-human zoonotic transmission has been clearly established. The mode of transmission in the community is thought to be primarily by hands that have become contaminated by contact with colonized or infected body sites of other individuals or fomites contaminated with body fluids containing MRSA. Other factors contributing to transmission include skin-to-skin contact, crowded conditions, and poor hygiene. Risk factors for acquisition of MRSA are likely to include certain antimicrobial use in veterinary medicine. 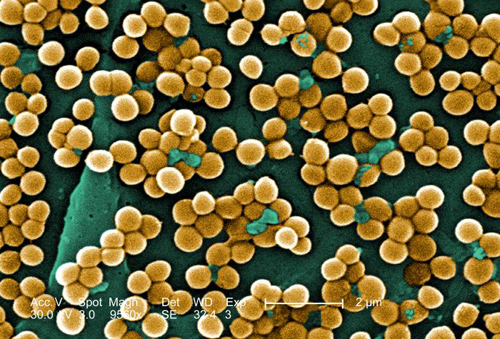 This 2005 scanning electron micrograph (SEM) depicted numerous clumps of methicillin-resistant Staphylococcus aureus bacteria, commonly referred to by the acronym, MRSA; Magnified 9560x. Image from Centers for Disease Control and Prevention Public Health Image Library, Atlanta, GA). Image by CDC/ Janice Haney Carr/ Jeff Hageman, M.H.S. 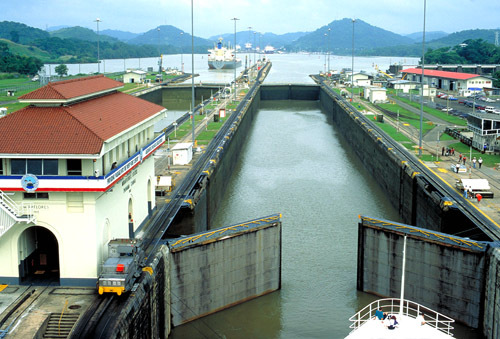 Panama Canal: Two aspects of public health concern are in evidence in this photo of the locks at the Pacific Ocean end of the: Panama Canal: the current and the historical. Vessels carry goods back and forth through the canal from all parts of the globe. Nearly 14,000 ships a year travel through the canal. The tonnage of the goods they carry is almost 195 million. Historically, the narrow 40 mile isthmus attracted the interest of developers in the latter half of the nineteenth century. Although a formidable engineering challenge, the terrain was less daunting than the disease-carrying mosquitoes of the region. Under the leadership of Colonel William C. Gorgas, U.S. Army, M.D., public health officials instituted sanitation measures that eliminated the yellow fever- and malaria-carrying mosquitoes, which made building the canal possible. Currently the Canal Zone is a tourist destination. It is important for all travelers to be aware of the potential health hazards of both foreign and domestic travel. To address health issues associated with travel, the Centers for Disease Control and Prevention offers tips for U.S. travelers on how to avoid illness while away from home. A greater problem is that of globalization’s effect on infectious disease transmission. Health problems can no longer be thought of as “local.” CDC’s “PulseNet” is one effort used to monitor laboratory gel patterns to quickly identify dispersed domestic and international outbreaks of infectious disease. Caption and Image from Centers for Disease Control and Prevention Public Health Image Library, Atlanta, GA). Image by CDC/ Dr. Edwin P. Ewing, Jr. While over the years there have been collaborations between animal and human health providers, “…it was in 1960’s that a veterinarian, Dr. Calvin W. Schwabe, a parasitologist and veterinary epidemiologist coined the term One Medicine in his textbook, Veterinary Medicine and Human Health,” and called for collaboration to combat zoonotic diseases. A “consultation document, ‘Contributing to One World, One Health: Strategic Framework for Reducing Risks of Infectious Diseases at the Animal-Human-Ecosystem Interface,’ was produced by the Food and Agriculture Organizations of the United Nations (FAO), World Organization for Animal Health (OIE), World Health Organization (WHO), United Nations System Influenza Coordination, United Nations Children’s Emergency Funds UNICEF), and the World Bank and published in 2008 (see http://www.oie.int/downld/AVIAN%20INFLUENZA/OWOH/OWOH_14Oct08.pdf). Human-Animal Medicine “provides numerous practical suggestions for helping [human and animal health professionals] retool and implement One Health concepts into their daily practice routines, which could enhance the preventive and therapeutic care they provide and lead to greater convergence between the disciplines,” the authors write. This Human-Animal Medicine book, the One Health Initiative, and related endeavors can advance the synergy achievable with interdisciplinary collaborations and communications in all aspects of health care for humans, animals and the environment. As is so well expressed on the One Health Initiative Web site, such synergy will “advance health care for the 21st century and beyond by accelerating biomedical research discoveries, enhancing public health efficacy, expeditiously expanding the scientific knowledge base, and improving medical education and clinical care. 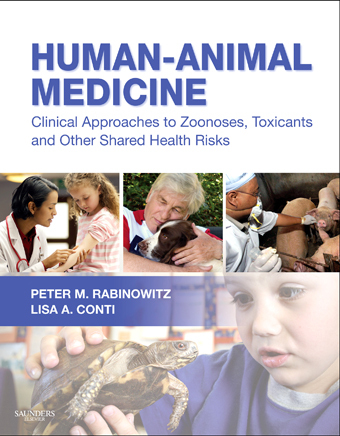 Human-Animal Medicine: Clinical Approaches to Zoonoses, Toxicants and Other Shared Health Risks is available from Saunders: Human-Animal Medicine - ISBN: 978-1-4160-6837-2 - Elsevier Health. Lisa A. Conti, DVM, MPH, DACVPM, CEHP, is the current Deputy Commissioner and Chief Science Officer at Florida Department of Agriculture and Consumer Services. Drs. Rabinowitz and Conti are among the founders of the One Health Initiative (OHI). Dr. Peter M. Rabinowitz serves on the Advisory Board and Dr. Lisa A. Conti is a member of the OHI team along with Laura H. Kahn, MD, MPH, MPP, Bruce Kaplan, DVM, and Jack Woodall, PhD. “As is so well expressed on the OHI Web site, such synergy will ‘advance health care for the 21st century and beyond by accelerating biomedical research discoveries, enhancing public health efficacy, expeditiously expanding the scientific knowledge base, and improving medical education and clinical care,” wrote Janine M. H. Selendy, in her endorsement on behalf of Horizon International. 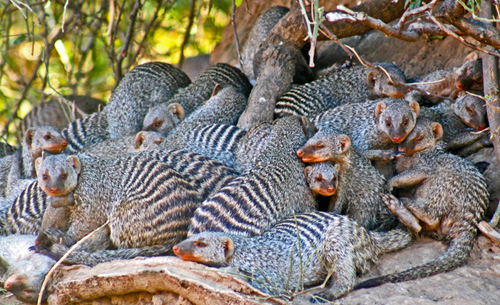 · Human Disease Leptospirosis Identified in the Banded Mongoose in Africa, published on May 20, 2013, on the Horizon International Solutions Site at http://www.solutions-site.org/node/892. Copyright: _ 2009 Mazet et al. This is an open-access article distributed under the terms of the Creative Commons Attribution License, which permits unrestricted use, distribution, and reproduction in any medium, provided the original author and source are credited. 1. World Health Organization (2009) Data and statistics: Causes of death. Geneva: World Health Organization, Available: http://www.who.int/research/en/. Accessed 24 April 2009. 3. Taylor LH, Latham SM, Woolhouse MEJ (2001) Risk factors for human disease emergence. Phil Trans Royal Society B 356: 983–989. 4. Jones KE, Patel NG, Levy MA, Storeygard A, Balk D, et al. (2008) Global trends in emerging infectious diseases. Nature 451: 990–993. doi:10.1038/nature06536. 5. Moran M, Guzman J, Ropars A-L, McDonald A, Jameson N, et al. (2009) Neglected disease research and development: How much are we really spending? PLoS Med 6: e1000030. doi:10.1371/journal.pmed.1000030. 6. Clifford D, Kazwala R, Coppolillo P, Mazet J (2008) Evaluating and managing zoonotic disease risk in rural Tanzania. Davis (California): Global Livestock Collaborative Research Support Program Research Brief 08-01-HALI. Available: http://glcrsp.ucdavis.edu/publications/HALI/ 08-01-HALI.pdf. Accessed 24 April 2009. 7. Coppolillo P, Dickman A (2007) Livelihoods and protected areas in the Ruaha Landscape: A preliminary review. In: Redford KH, Fearn E, eds. Protected areas and human livelihoods. New York: Wildlife Conservation Society, Working Paper No. 32. Available: http://www.ecoagriculture.org/documents/files/doc_40.pdf Accessed 17 November 2009. 8. Ogelthorpe J, Gelman N (2007) HIV/AIDS and the environment: Impacts of AIDS and ways to reduce them. A fact sheet for the conservation community. Washington (D. C.): World Wildlife Fund, Available: http://www.worldwildlife.org/what/communityaction/people/phe/WWFBinaryitem7051.pdf. Accessed 24 April 2009. 9. Newark WD (2008) Isolation of African protected areas. Front Ecol Environ 6: 321–328. 10. Wittemyer G, Elsen P, Bean WT, Coleman A, Burton O, et al. (2008) Accelerated human population growth at protected areas edges. Science 321: 123–126. 11. United Nations (2008) Contributing to One World, One Health: A strategic framework for reducing risk of infectious diseases at the animal-human-ecosystem interface. FAO/OIE/WHO/UNICEF/UNSIC/World Bank. Available: http://un-influenza.org/files/OWOH_14Oct08.pdf. Accessed 24 April 2009. Book CoverBook Cover This article is presented as part of the Supplementary Material that accompanies the book Water and Sanitation Related Diseases and the Environment: Challenges, Interventions, and Preventive Measures, a Wiley-Blackwell publication in collaboration with Horizon International, written by 59 experts. Janine M. H. Selendy, Horizon International Founder, Chairman, President and Publisher, is Editor. These will be sent to thousands of libraries, organizations, and institutions in 138 less-wealthy countries and will be invaluable additions to library materials for use in classrooms and communities, by researchers and government decision-makers. As of 17 September 2013, these resources have been made available in over 1,200 entities across 60 countries.